*Phenomenal depth of rib and fleshing ability combined with a moderate BW EPD and high maternal and carcass traits. He is well marked and has plenty of eye appeal. *Cow power deluxe in this 4055P son. 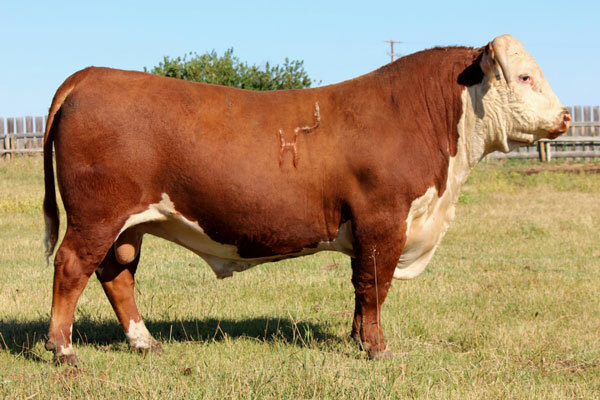 1013Y is a son of the 7003T donor cow that topped our 2013 Female sale at $70,000 and also our 2017 Female Sale, and a grandson of the $175,00 5139R donor cow that has produced almost $900,000 in progeny sales.